Betfred is one of the old-school British bookmakers. It has existed with physical premises since 1967, when it was first launched, and it has also been a part of the online revolution since the beginning. 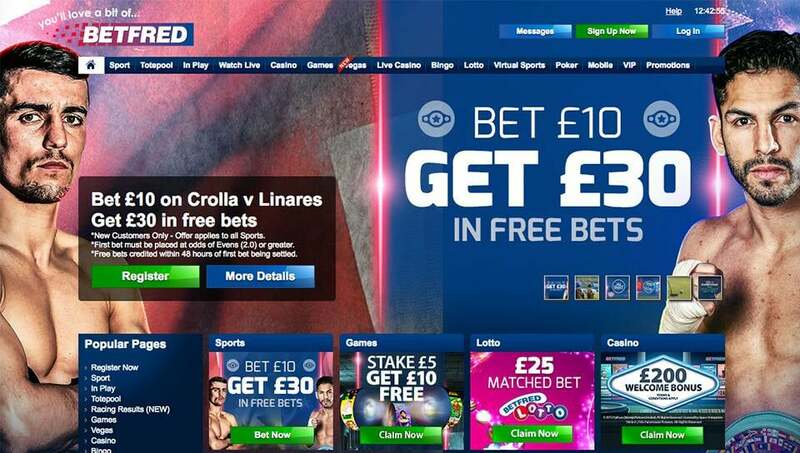 Betfred is smaller than the likes of William Hill and Ladbrokes, who it has always competed with both on the high street and online, but it’s responsible for some big break-throughs in this industry. In 1998, they became the first bookmakers to pay out early, effectively kickstarting a trend that would later become Live Betting and Cash-Out. But as a competitor to the likes of Bet365, Betfair and other online giants, can this 50+ year old bookmaker stand its ground and offer something worthwhile to the modern gambler? You can typically find a bonus of between £20 and £50 on Betfred. At the time of writing you can pickup £25, which comes in the form of a matched bet. So, if you place a £25 bet, then you’ll get a £25 free bet. You can get much more than this on the Betfred casino, simply because the profits are much higher on the casino side of things so they can afford to be a little more generous. The problem with Betfred bonuses is that they all seem to be targeted to the weekend gambler. Basically, they’re all very small, and they usually center on football and major sporting tournaments. That’s because diehard gamblers and high rollers do not typically favor Betfred. They tend to stick to the exchanges and to the big sites like Bet365. Of course, even if you’re a regular gambler, these amounts may still be of use to you. It all depends on how much you typically gamble. If you like to drop several hundred on a single bet, then these bonuses will be completely insignificant, and probably not even worth the hassle (especially when you consider the restrictions placed on withdrawals). But if you gamble between £10 and £30, it’s a worthwhile free bet, and not something to be sniffed at. The play-through rates are decent and there are little to no reports of Betfred going back on bonus promises, which is to be expected for a company of its size. Betfred is average, that’s about as much as you can say about it. It doesn’t have the best selection, the best bonuses or the best options, but it’s a long way from having the worst either. 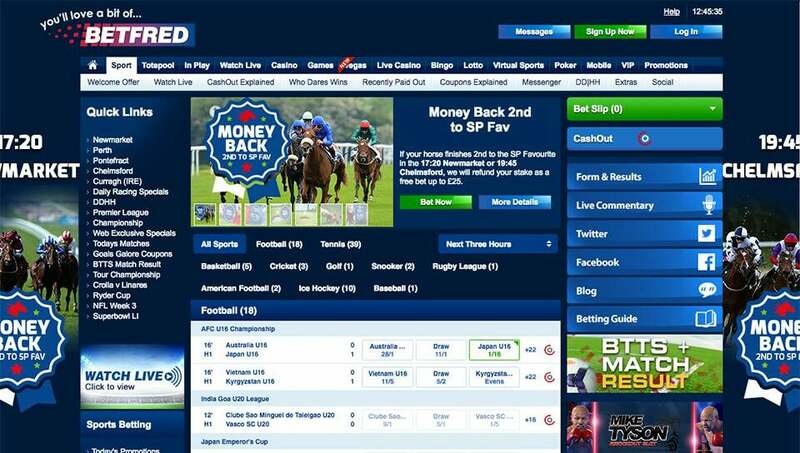 Betfred is one of those sites that will always have a wide selection of markets for televised events and one that will never be left wanting for big sports (cricket included) but one that doesn’t have some of the niche markets you can find on bigger sites. As mentioned above, it’s geared more towards the casual gambler, and this is as evident in the markets it offers as it is in the bonuses. So, while you can bet on Win/Lose, Over/Under, Outright and Top Player markets, you won’t find the sort of specific, niche bets that make sites like Bet365 so popular. The Live Betting markets are equally sparse, although there is more going on than there is on many other smaller betting sites, and they are easier to access as well.  The customer support is also solid and we have never had an issue in that regard, nor have we heard of any major problems. Betfred has had some complaints in this department in the past, but they seem to have gotten their act together and these have diminished in the last few years. 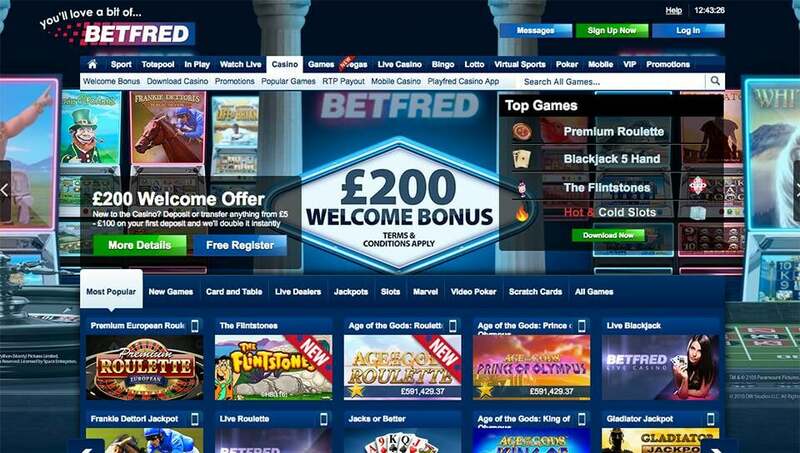 One of the things that does make Betfred stand out are additions such as Totepool, virtual games and mobile compatibility, all of which it excels in. There is also a live casino, an option to watch live streams, and a great selection of slots. And if you bet a lot of money and do so frequently, then you could make it into their VIP program—something that few sites seem to have these days. There isn’t a lot wrong with this website. It might not be as big as some of the market lead-ers, but it performs better than many of its rivals, including ones with a larger market share than they have. For instance, while sites like Ladbrokes, 888, TitanBet, PaddyPower and BetWay all seem to make life difficult for Mac users, and anyone using the Chrome brows-er, there are no such issues with Betfred. And while some of the aforementioned websites (specifically Ladbrokes) are incredibly slow, making for a somewhat tedious experience at times, Betfred runs very smoothly and very quickly. It has most areas covered and ticks many boxes, which was probably always the goal. The one option that does let it down on occasion is the speed of the customer support, and the navigation to get there. Betfred clearly has a lot of customers and, understandably, it doesn’t want to pay for countless staff to keep things operational. As a result, trying to find a contact number is a minefield of FAQs, guides and more, with them doing their best to stop you from getting in touch. All in all, Betfred is not the best betting site out there. But with a simple, easy-to-use inter-face, some decent promotions, a few big features and a wide spectrum of big markets, it’s worth considering. It’s probably not going to be your main betting site, as it lacks some of the big features that make many of its competitors so popular, but for an additional site, one to pop-along, pickup a bonus and then leave when you’ve had your fill, it has its uses. There is also a lot to be said for the Betfred casino. They have faced controversy in the past when they used software that was discovered to be unfair, but this was the fault of the software provider and not Betfred. Admittedly, they should have been more vigilant and they didn’t handle the aftermath very well either, but these days they have upped their game and their software is considerably better.